Light and soft, these foam hair rollers are ideal for overnight sets and very easy to use. Apply them when your hair is 80% dry after washing and go to sleep. In the morning, remove the rollers. Split and style your curls with your fingers without brushing them through. Alternatively, dampen your dry hair with some water, apply the rollers and then blow dry with a hair dryer on a low setting for 15-20 minutes. For the best results, follow our recommendations below. Wash the curlers before the first use. Brush your hair before applying the curlers. Roll your hair into the curlers starting from the top of your head and from the ends of each section that you roll. Secure each curler by bending its ends. To avoid creases, roll your hair upward and secure each curler in place directing its ends downward. The thicker sections you roll, the softer curls you will get. Apply on dry hair for soft and loose waves. Apply on dampened hair for tight bouncy curls. Use a styling mouse for some extra definition of your curls. If you curl your hair overnight, then for the maximal comfort you can tie a scarf over your entire head before you go to bed. Before removing the curlers, always make sure that your hair is totally dry. It is essential for beautiful long lasting curls. 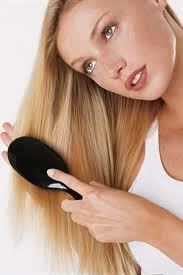 If you have blow dried your hair, wait for your hair to cool down before removing the curlers. This way your curls will last longer. To redefine your curls the next day, twist it around your finger section by section. After each use, straighten the curlers and adjust the wire. This will allow the curlers to return to their original shape.